“My teacher would like for you to come downstairs,” one student said as the gathering ended. I followed Sixtina and others down the stairs to a level below the main floor. 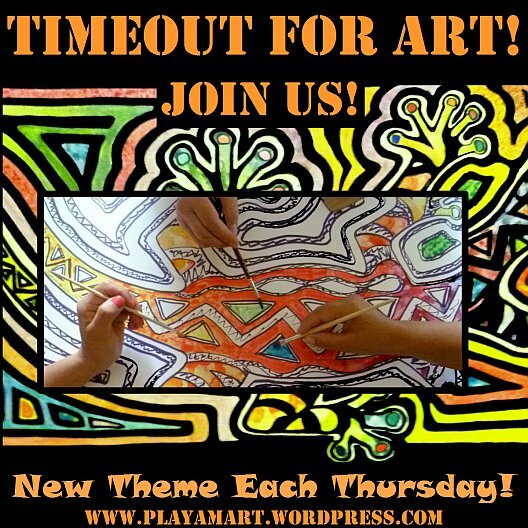 A second art event was about to begin! Javier has done a great job with the 50 young artists, and I spent the next hour looking over shoulders, critiquing, advising, backing up Javier’s instructions, giving short demonstrations (very short) and giving autographs of encouragement. Step into the classroom, look over my shoulder and enjoy the assortment of work created by these talented young artists. The museum will showcase the students’ work in two weeks – Thursday April 9th with a reception in the evening. I mentioned that traveling back to Jama at night is sometimes a problem, and Sixtina immediately invited me to stay in her home! It will be fun to see the students again as they bask in the spotlight. I’ll have to take a special book and ask for their autographs! Watercolor in progress: I thought that some colors, in honor of the new exhibition, might jazz up this one’s wardrobe! A bundle of positive energy, Sixtina is rarely without her signature smile! Thanks for touring the museum and taking a Timeout for Students! I particularly enjoyed the students’ paintings. Did you happen to notice the resemblance between the “cityscape” and Georgia O’Keeffe’s paintings of New York at night? The flower that looks like a calla lily is lovely, too. What an enjoyable time that must have been! Living in a country with so much warmth must give energy. I admire all your activities. Great gallery, I saw your work too! What a fun day! And what an honor to have your work in the museum. Kids have such creativity. This was wonderful for them and great for you having your work there. Art infuses joy and enthusiasm into our lives. A wonderful day! Bravo Zulu on your inclusion! Lovely to watch your impact on the world, Lisa. 🙂 and I love that initial statue at the museum. I love that sculpture, the first photo in your series. I can’t even imagine how thrilling it must be to have a piece of work exhibited in an art museum of this caliber. Those kids look like they are, indeed, in their element. It fit right in. Beautiful work. Congratulations on the recognition.